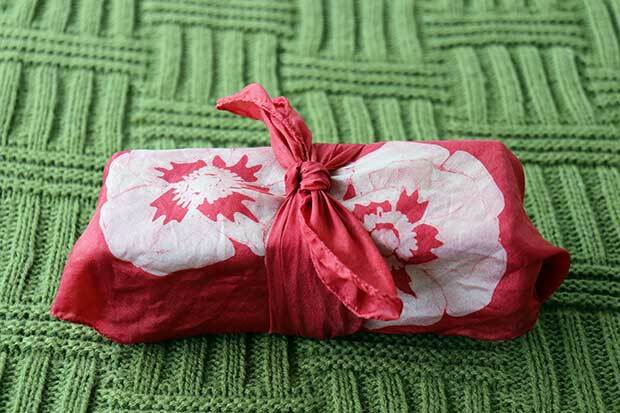 Furoshiki (also sometimes called tsutsumi) is the ancient Japanese art of wrapping fabric and tying it different ways to present and carry a gift: no paper, no sticky tape, no ribbon and no waste. 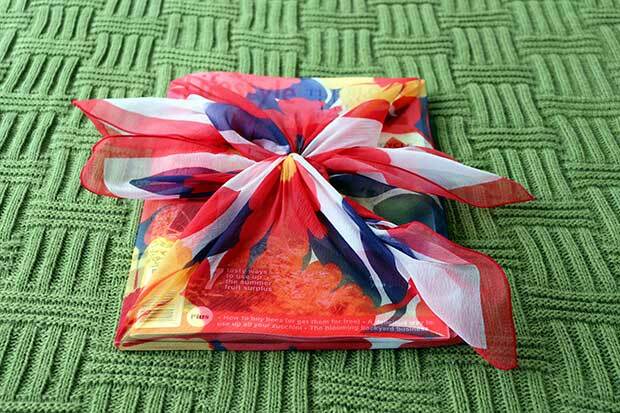 A piece of fabric is simply folded around the package and can be adapted for just about any wrapping purpose. 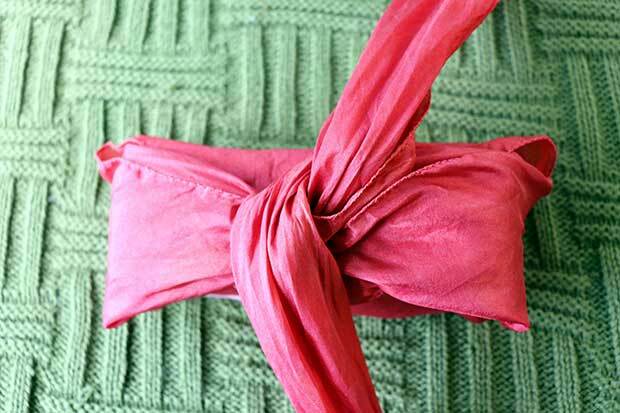 Not only does the giver have the joy of presenting an eco-friendly cloth wrap, the recipient has the pleasure of untying, reusing and on-gifting the fabric with a present of their own. 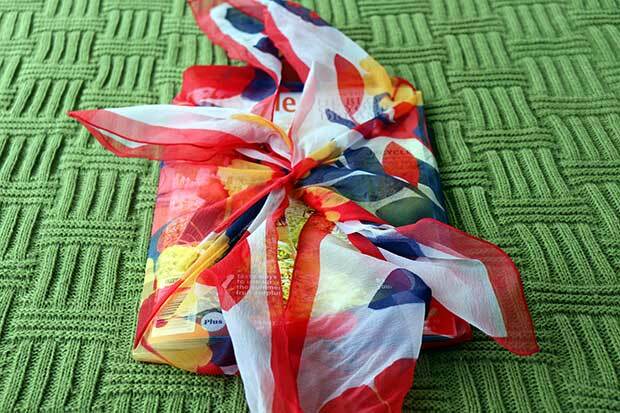 Consider it the ultimate everlasting pay-it-forward wrapper. 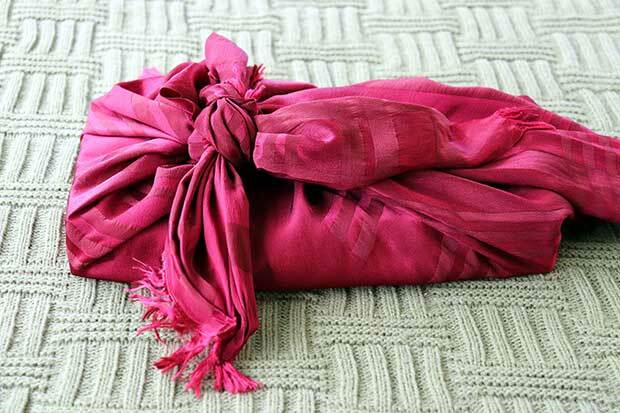 Choosing the right fabric for furoshiki is important; it must be light enough to tie easily but strong enough to take the weight of the gift. Silks and light cottons work well. To keep in the eco spirit, support local charity shops and scout for silk and polyester scarves, bandanas or handkerchiefs. Or look for fabric remnants and offcuts. 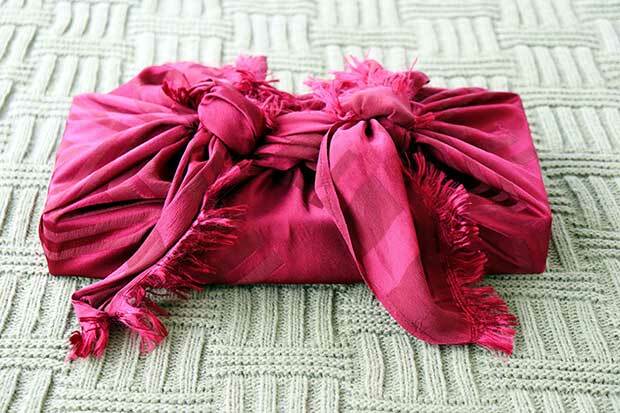 Two-sided reversible fabric can also be stunning. 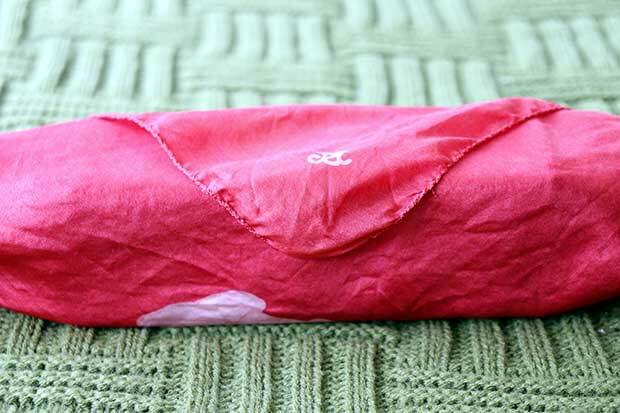 As a general rule, the fabric should be at least two-thirds bigger than the item to be wrapped. If it’s excessively larger, consider doubling it over. Be aware, though, that the overall thickness affects the ease of knot tying. For example, fabric measuring 70 x 70cm would be suitable for both a single- or double-bottle wrap (the methods differ but work equally well). 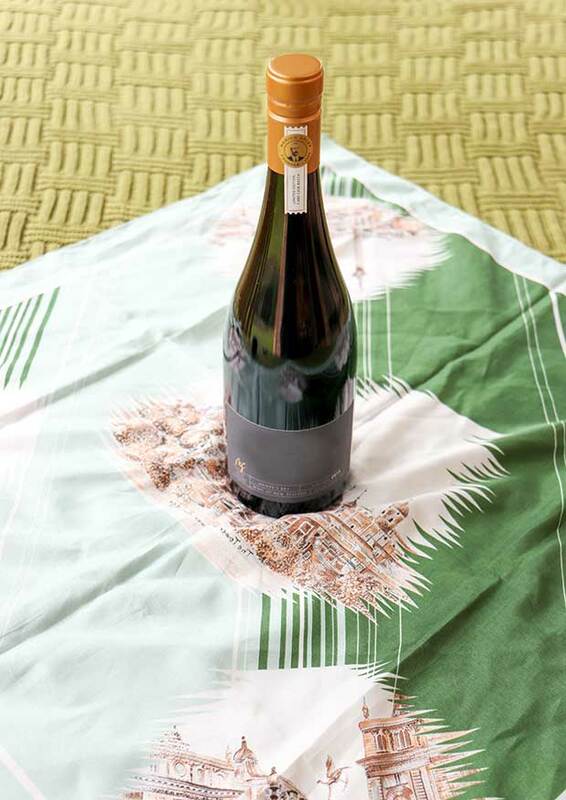 Lay square fabric 2/3rds bigger than the bottle (a 70x70cm piece of fabric works well for a wine bottle) in a diamond format and stand the bottle in the centre. 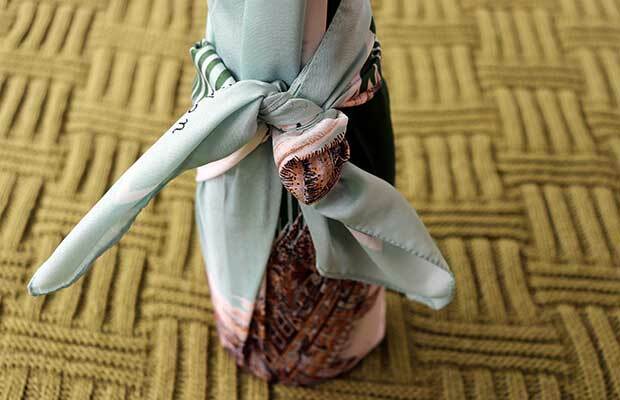 Take two diagonally opposite ends and tie together tightly to the height of the bottle. Tie a double knot so it’s secure. Next, double-tie the two extreme ends of the fabric points together, leaving a gap to form a carrier hoop. 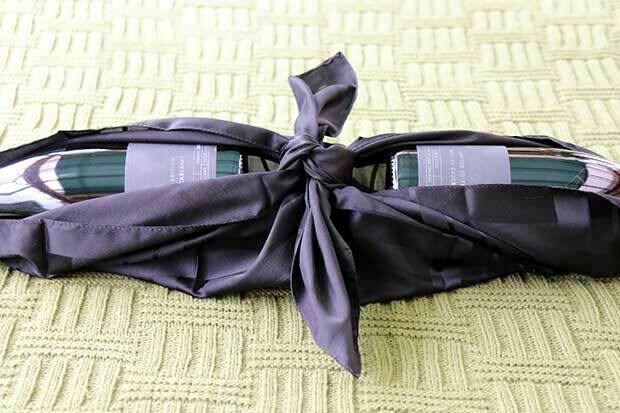 Wrap the two remaining diagonally opposite ends in a crossover around the back of the bottle and tie together neatly at the front in a double knot so it’s secure. 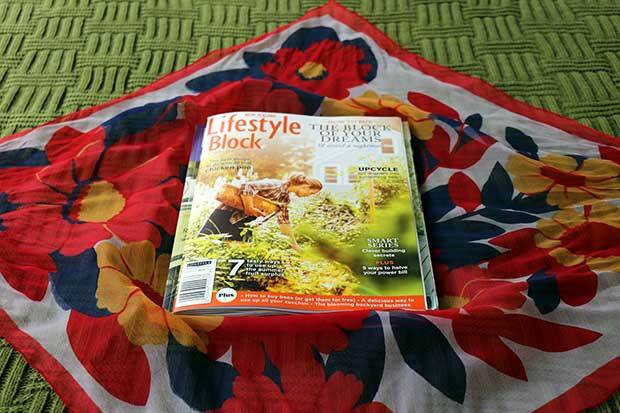 Lay a square of fabric in a diamond format. 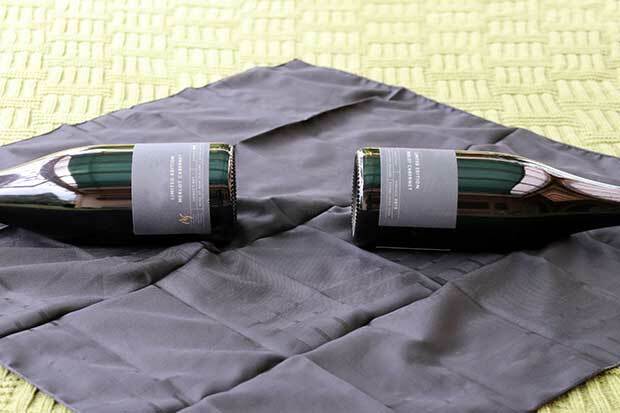 Stand the bottles snuggly side by side then lie them flat, necks facing towards the right and left corners of the fabric. The natural resulting gap will allow them to stand securely once the wrap is complete. 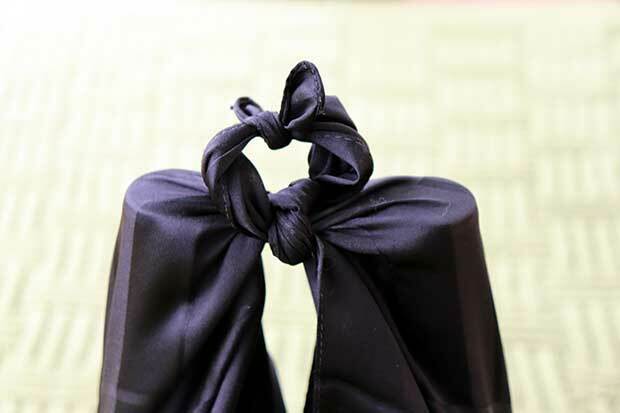 Tie the two diagonally opposite the front and back corners together tightly in a knot that ends up in the central gap between the two bottles. Double-knot to secure. Stand the bottles up, move the existing knot forward, then tie the two remaining diagonally opposite left and right ends tightly to the height of the bottles. Double-knot to secure. 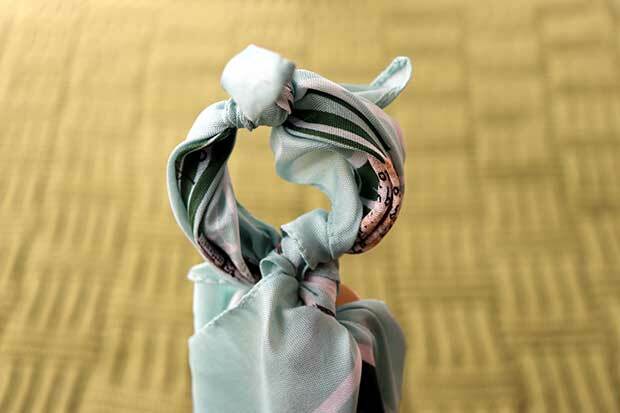 To form a carrier hoop, tie the extreme ends of the top knot together. 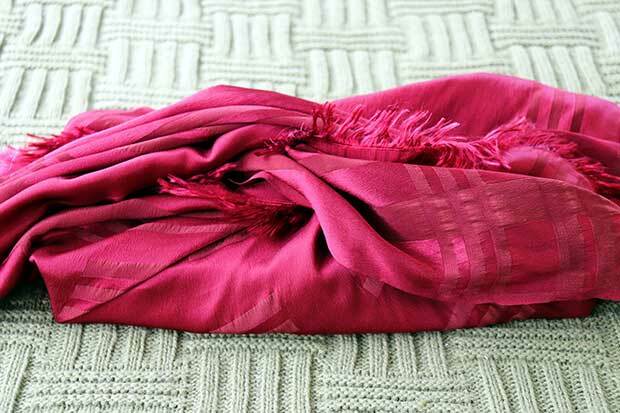 Lay square fabric in a diamond format and place item(s) in the centre. 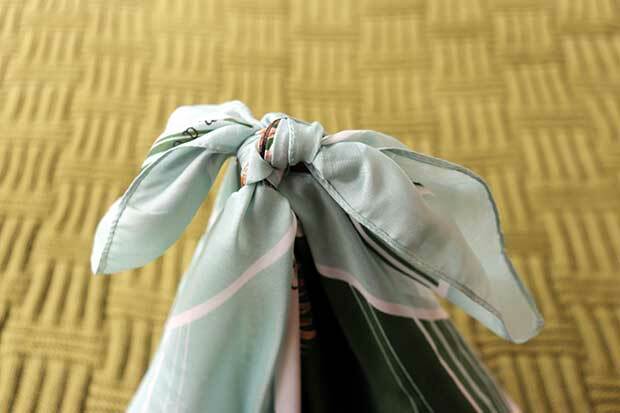 Take two diagonally opposite ends and tie together tightly in a double knot. STEP 3. Repeat with the two remaining diagonally opposite ends and tie in a double knot over the first. Having trouble? Watch the video below. 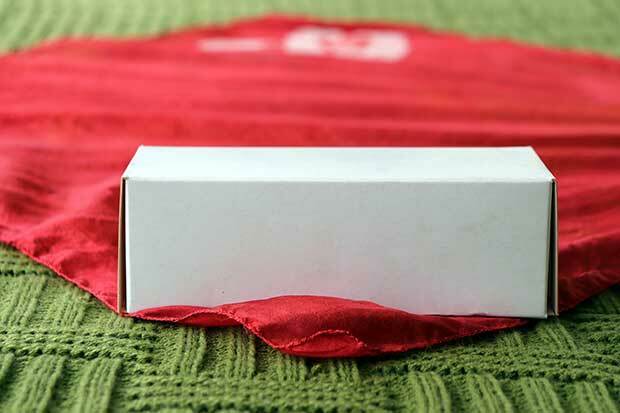 Lay square fabric in a diamond format and place small box in one corner. 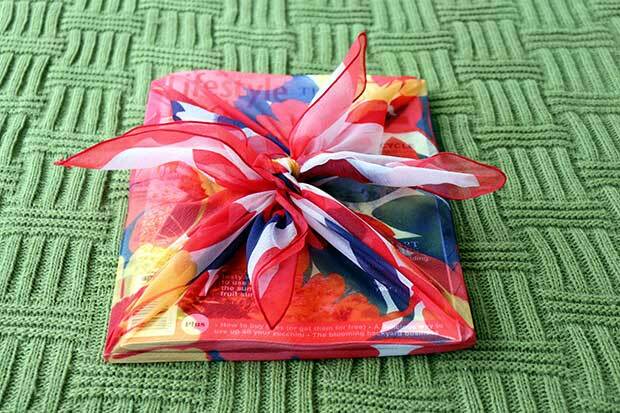 Lightly roll box inside fabric. You’ll end up with a long, thin parcel. Bring the two long ends together in the centre and twist around each other at 90 degrees but do not tie. Keeping pressure on the twist, turn the box over and tie both ends together securely at the front. 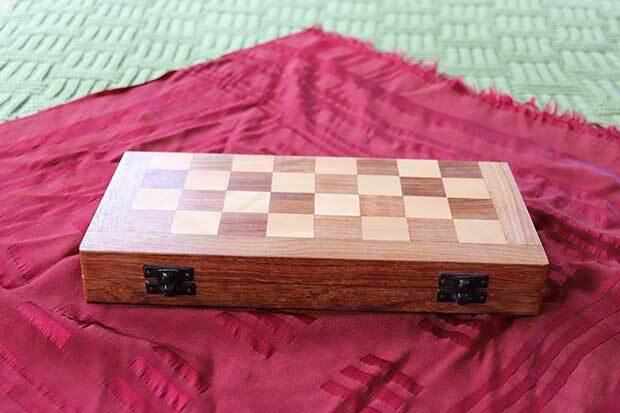 Lay square fabric in a diamond format and place large box in the centre. Bring the two diagonally opposite front/back ends together in the centre and twist around each other at 90 degrees resulting in those ends facing left and right. 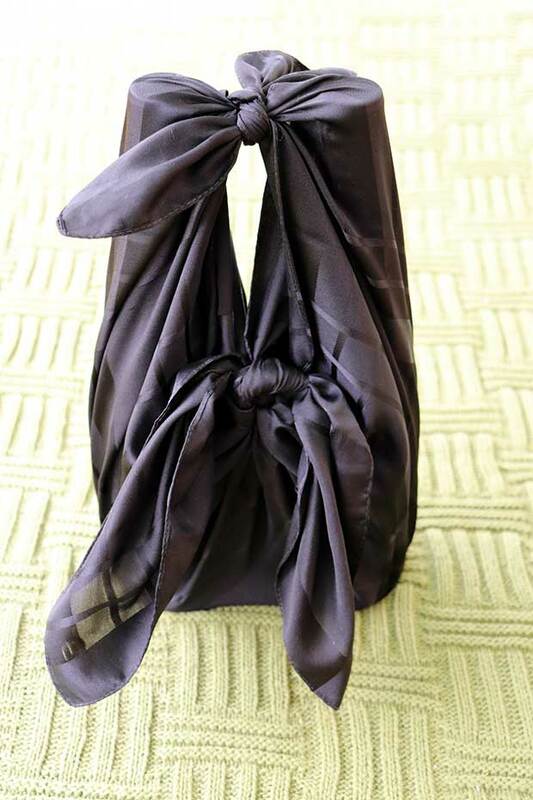 Take one twisted end and tie it tightly to fabric corner closest to it. Tie twice to form a secure knot. Repeat on the other side, resulting in a two-knot effect with an easy-to-carry ‘handle’.